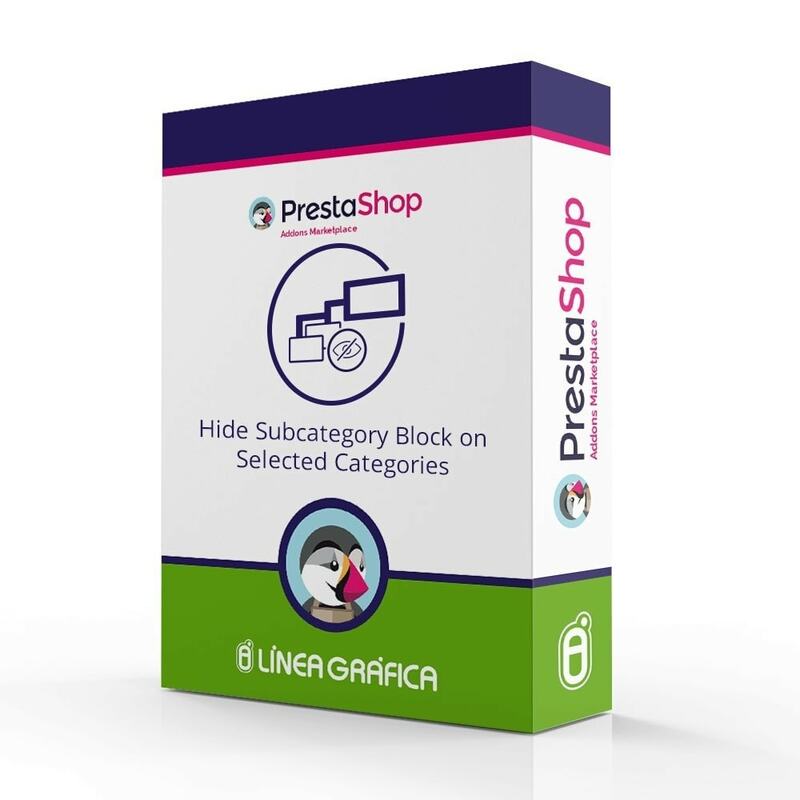 This module is very to use and allows to hide the subcategory block on the category pages of your choice. 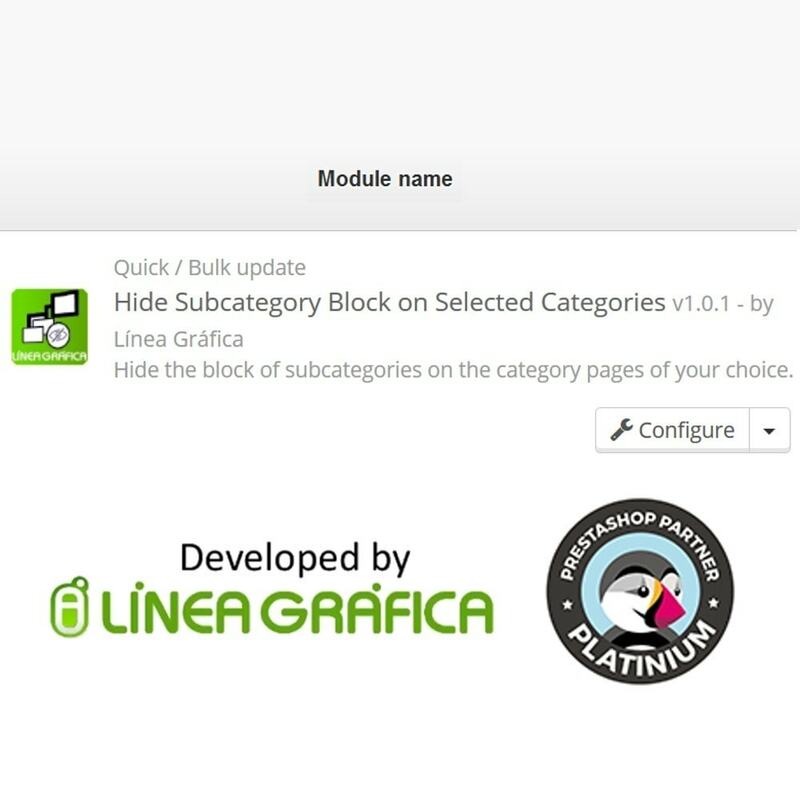 Open the module, select the category(ies) on which you don't want to display the block and click on "Save". 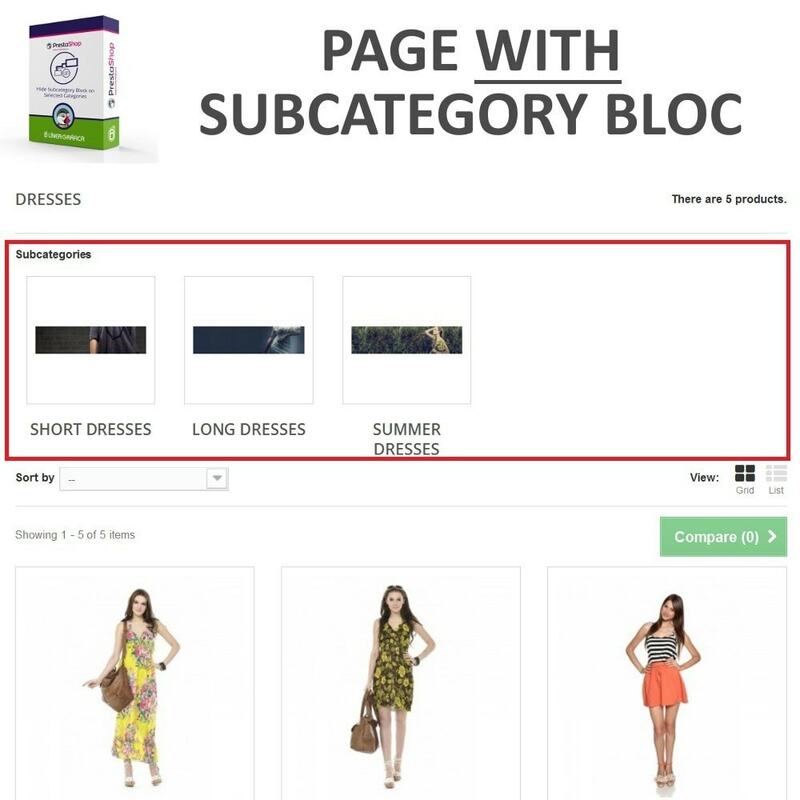 You can now hide the subcategory block on the category pages that contain few products and show the subcategory block on the category pages that contain a lot. The module doesn't have any impact on the store menu. 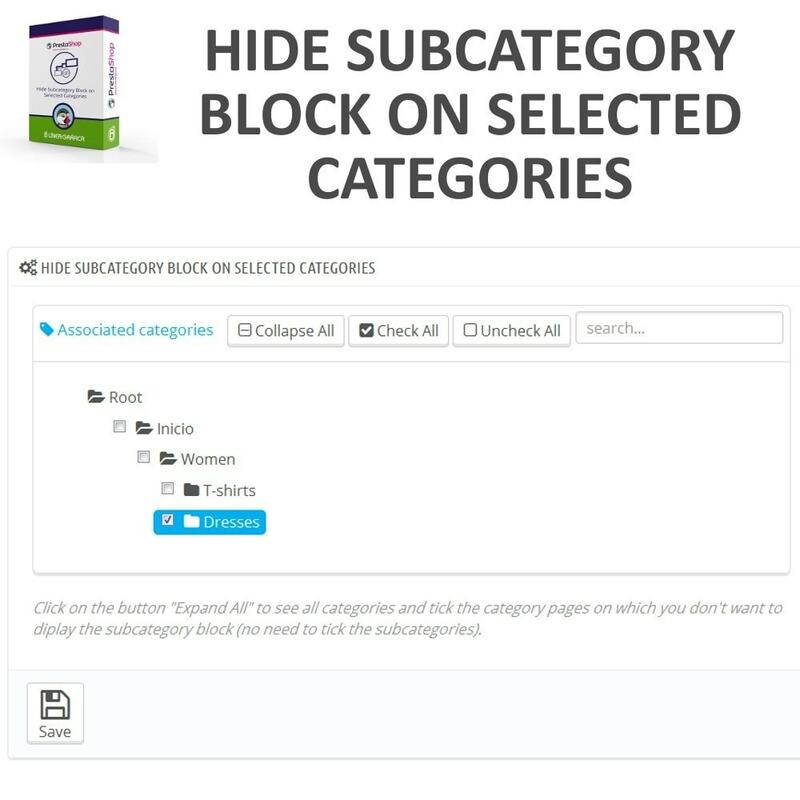 It only allows you to hide the subcategory block on the category pages, it does not hide the subcategories in the menu. You can use the module on your different stores (multistore) but you can't choose a different status (block hidden or shown) for a category common to all your stores. 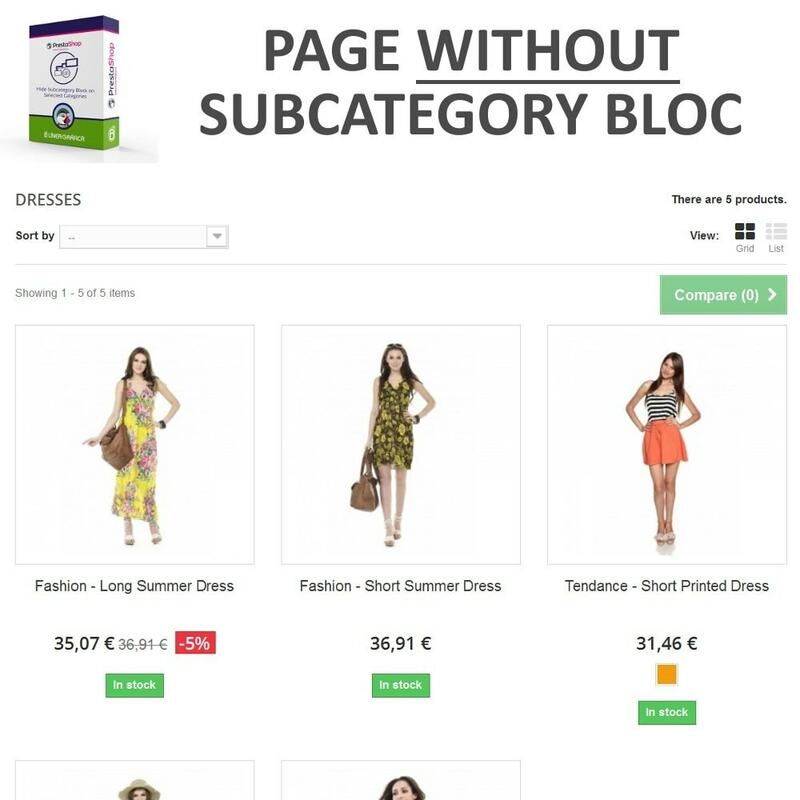 If you choose to hide for example the subcategory block on your "T-shirts" category and you have the same "T-shirts" category in all your stores, the block will automatically be hidden in all your stores. Sparen Sie viel Zeit bei der Auftragsvorbereitung, ohne jeden Auftrag einzeln öffnen zu müssen. Sie können jetzt die Details Ihrer Bestellungen direkt aus der Liste der Bestellungen sehen. Eine echte Zeitersparnis bei vielen Bestellungen. Bewegen Sie Ihre Produkte einfach von einer Kategorie in eine andere und / oder vergeben Sie Ihre Produkte in mehrere Kategorien en masse, um sie in mehreren Kategorien anzuzeigen und ihre Sichtbarkeit zu erhöhen.